Almost one year has passed again. 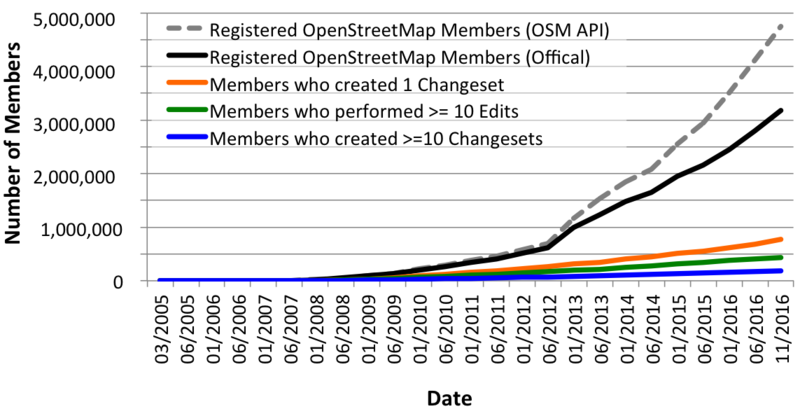 This means it’s time for the fourth OpenStreetMap (OSM) member activity analysis. The previous editions are online here: 2014, 2013 and 2012. 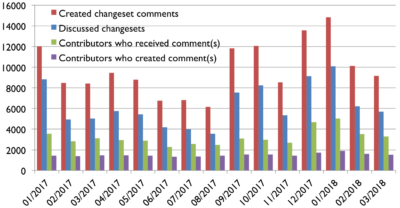 Simon Poole already posted some interesting stats about the past few years. You can find all his results on the OSM wiki page. However, similar to last year, I try to dig a little deeper in some aspects. 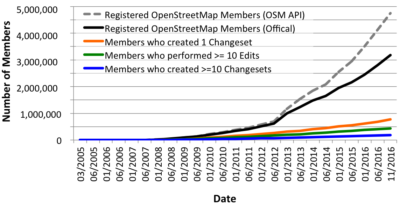 Overall the OSM project has officially more than 2.2 million registered members (Aug, 9th 2015). For several of my OSM related webpages I create a personal OSM contributor database, based on the official OSM API v0.6. Anyway, when using this API, the final table will show a list with more than 3 million individual OSM accounts (Aug, 9th 2015). 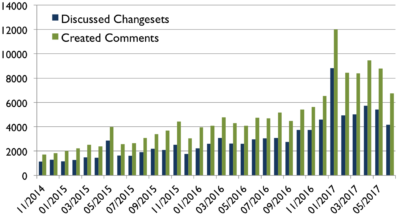 I’m not sure what the cause for this gap of almost 1 million members between the official number and the member number extracted with the API could be. Maybe some of you have a possible explanation? However, I think many accounts are created by spammers or bots. The first book about the OpenStreetMap (OSM) project was written by Frederik Ramm and Jochen Topf, two well-known OSM enthusiasts, in 2008. The first version was in German which was later translated into an improved English version. It contains similar information as can be found in the book by Jonathan Bennett, which was published in 2010, detailing how the projects’ geodata is collected, which editors can be used, some explanations about tags, key and values and how the rendering stack works. Both books are great resources to learn about the OSM basics and to get an overview about useful software. 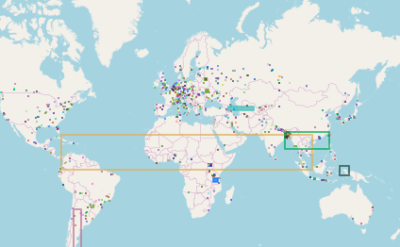 The Missing Maps project is a collaboration between the Humanitarian OpenStreetMap Team (HOT) and various partner agencies, such as the American or the British Red Cross. One of their main objectives is “to map the most vulnerable places in the developing world, in order that international and local NGOs and individuals can use the maps and data to better respond to crises affecting the areas.” You can find additional information about the Missing Maps Project on the OpenStreetMap (OSM) wiki and their project page.